A six-cylinder TwinPower Turbo engine with 360 hp makes the BMW X4 M40i the most powerful model of BMW's X4 lineup. The powerful BMW makes its world debut at this year’s North American International Auto Show (NAIAS) 2016. 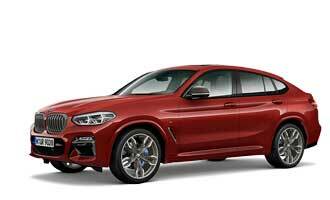 About two years ago the BMW X6 SAC (Sport Coupé Vehicle) received a little brother, namely the BMW X4. And this is selling well. 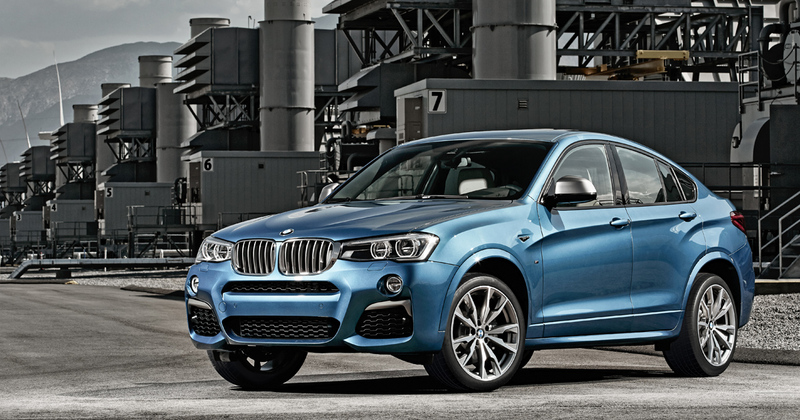 According to public authorities in Germany, the X4 gained an increase of 118 percent in sales numbers in 2015. Perfect time, to crown the BMW X4 line-up with a new flagship model: The BMW X4 M40i – a X4 with M-genes. Similar to other cars from the BMW M-Performance line, the most powerful X4 makes a difference with its grey door mirror caps, grey air intakes and grey painted kidney grille strives. The rear section of the X4 features a redesigned diffusor with two chrome-black painted tailpipes on the left and right side. But it’s not just the exterior look of the BMW X4 M40i that makes the car impressive. A look at the data sheets reveals, what the X4 M40i is really capable of. The car features a completely reworked turbocharged six-cylinder petrol engine under the bonnet. Thanks to new pistons and new crankshaft bearing shells, the M-engineers are now able to create up to 54 hp (39 kW) more with the new 3-liter displacement compared to the recent version of the engine which powers the X4 35i. The X4 M40i provides an impressive power of 360 hp (265 kW) at 5,800 to 5,000 rpm and a maximum torque of 465 Nm (342.9 pound-feet) within an rpm range of 1,350 to 5,250. The sprint from a standstill to 100 km/h (62 mph) is achieved in 4.9 seconds, while the pursuit ends at the electronically limited maximum speed of 250 km/h (155 mph). According to BMW, the official NEFZ fuel economy is said to be only 8.6 l/100 km (27.3 mpg). The power of the BMW X4 M40i is distributed via the standard, rear-wheel emphasized all-wheel drive system xDrive onto the street. An even more sharpened chassis in combination with stronger springs and stabilizers. An increased wheel camber at the front axle and the Dynamic Damper Control enable a reduced roll tendency for the “Baby M” X4. Now also the most twisted roads can be driven in a sporty manner. The market launch of the BMW X4 M40i is scheduled for spring 2016, while the official world debut will take place, as noted, at the NAIAS in Detroit.